The government’s minister of cabinet, Sok An, is set next week to make the next move in the grueling, years-long process to establish a trial of former Khmer Rouge leaders when he will brief a National Assembly committee on an agreement the government has struck with the UN. To critics who accuse the government of being sluggish in passing legislation to set up the trial, the meeting Thursday is long overdue. But members of the ruling CPP maintain that waiting is the best tactic to ensure the law’s quick passage. Lawmakers and sources close to the ne­go­tiations say much lob­bying is going on be­hind the scenes to make sure the party is in sync with the law. And while obser­vers once thought differences only existed at the uppermost level of the CPP—where former Khmer Rouge cadre sit alongside returnees educated in democratic countries—discrepancies at the lawmaking level also have surfaced. “We were not happy with this draft,” he said. In the draft, the government has allowed the UN to have final say in naming Khmer Rouge suspects—in the form of a panel that can overrule attempts by Cam­bodians to protect certain suspects who might have cut amnesty deals in recent years. 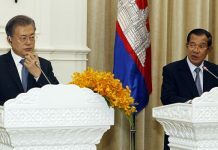 The government also agreed to both Cambodian and UN-appointed judges. Cam­bodian authorities are responsible for arrests and the government will not honor previously issued amnesties. The measure was completed in recent months, when government and UN officials finally agreed on how to try those responsible for more than 1 million deaths be­tween 1975 and 1979. To convince CPP lawmakers the draft should pass un­changed through parliament, Sok An has been lobbying them, at party headquarters and in private meetings at his home, to “ex­plain” and “educate” them on the law, said a Phnom Penh-based diplomat. 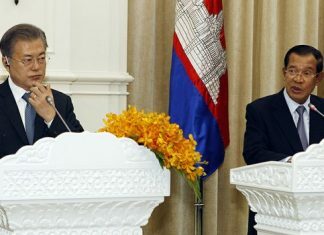 Political analyst Kao Kim Hourn said that on one hand, the lobbying campaign is clear evidence of a burgeoning democracy. But on the other hand, it’s a way for an all-dominant party to maintain a tight grip on its members, he said. “They have all sorts of different approaches. 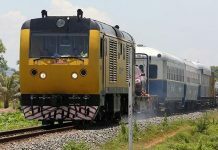 Incentives is one,” Kao Kim Hourn said, referring to Prime Min­ister Hun Sen’s recent approval for a $600 increase in lawmakers’ monthly travel budgets. Some party members admitted they maintain a less than independent stance. “When the party decides to do something, all will follow. There is no anarchy in the party. We all have agreed to act one way on this draft,” said Ek Som Ol, who serves on the Assembly’s legislation commission, which will meet Sok An on Thursday after he re­turns from an overseas trip with the prime minister. But other CPP lawmakers said they have no intention of toeing the party line. “We debate first. If it is not satisfactory, we will change it,” said CPP lawmaker Sam Kim Sou, noting that she has not yet spoken to Sok An.